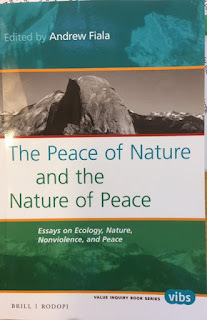 Congratulations to Andrew Fiala on his latest book The Peace of Nature and The Nature of Peace. Among the excellent chapters I contributed two: "Return to Earth: A New Natural Philosophy?" where I look at Schweitzer, Daoism and somatic practice, and "The Beloved Community: A Neo-Aristotelian Perspective," looking at King's understanding of love and community. 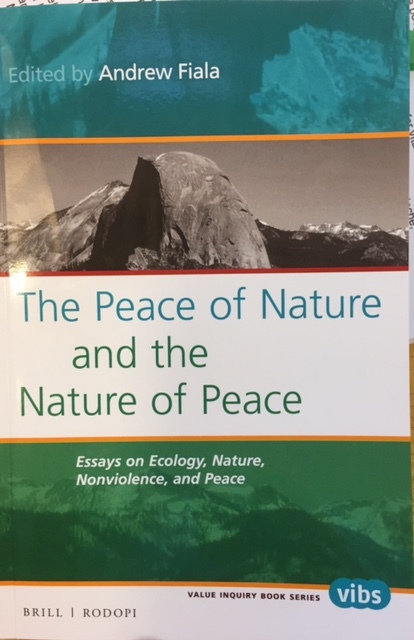 Both my chapters began life as presidential addresses at Concerned Philosophers for Peace.